The course outline and itinerary are in alignment with the ICRT and taught by Dee Banton Reiki Master and Reiki Teacher for 20years. Affiliated Teacher of the ICRT. Dates can be arranged to suit you, or a small group. Please contact Dee for more info and dates. Holy Fire Reiki II is a complete system of hands on healing, taught in three levels. 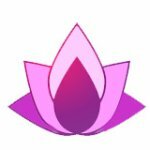 Reiki I, Reiki II and ART / Masters. Reiki I – is for Self Healing and for sharing with friends and family. Reiki automatically instigating a 21 day cleanse, for each level of training taken. Reiki I heals on a physical level. Healing and balancing the physical body, helping you to re-balance your diet and lifestyle. Reiki II heals on an emotional level supporting us in maintaining balance and harmony in our thoughts and emotions. Reiki II brings a more professional approach to healing preparing your to become a Reiki Practitioner. Reiki II training includes three symbols, you will be taught how to use them, to heal, protect and empower, and to send distant healing. Reiki III Advanced Reiki Training, this is taught over 1 day and is part of the Master Class, but can be taken separately. In ART you will receive the Master Symbol and Placement, plus training in the use of the Reiki Grid. Reiki Master Class is the second part or ART, and is held over 2 days, and a follow up day three months later to complete the teaching instruction. Full details on ART /Masters page. Allow a 3 month break before taking Reiki II. For Reiki I bring a note book and wear comfortable clothes. Two photographs of friends/family who you would like to send healing to. A clear quartz crystal with a termination point, if you have one. 2-4 inches long. Before Reiki 11 you will be sent a copy of three symbols, please try to learn to draw/visualise beforehand. In order to receive the optimal benefits from the course, please avoid alcohol and large meals, 2 – 3 days before. No smoking will be allowed during the course. I look forward to meeting you on the day, if you would like to speak with me personally, for more information contact us.